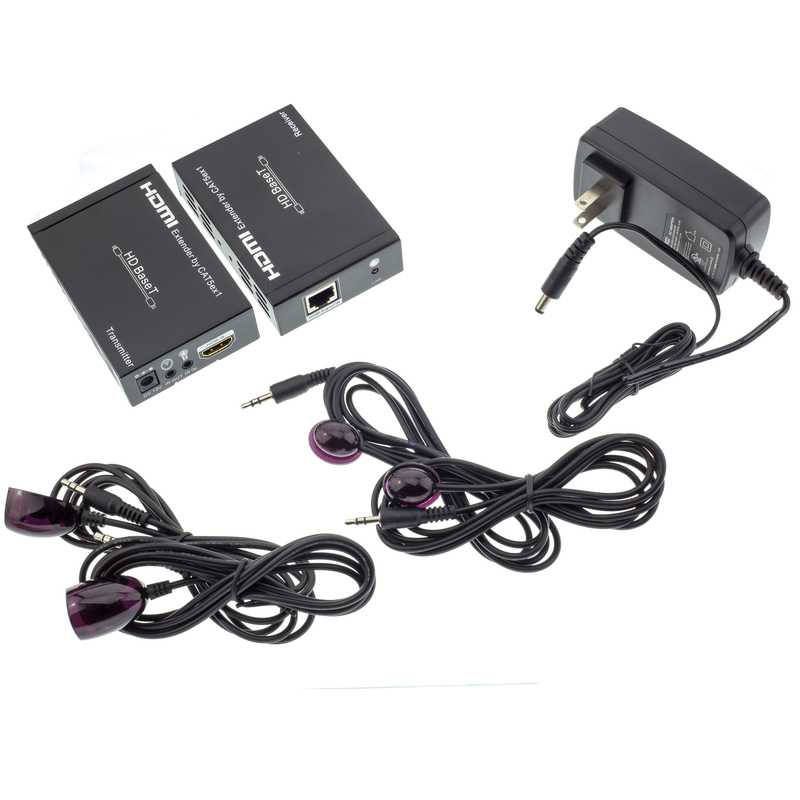 More Product InfoWith this HDBaseT extender set you will be able to run uncompressed high-definition signals from your source device such as a DVD player, PS3, Xbox, Satellite receiver or any device with an HDMI output to a TV up to 100 Meters (328 feet) away. 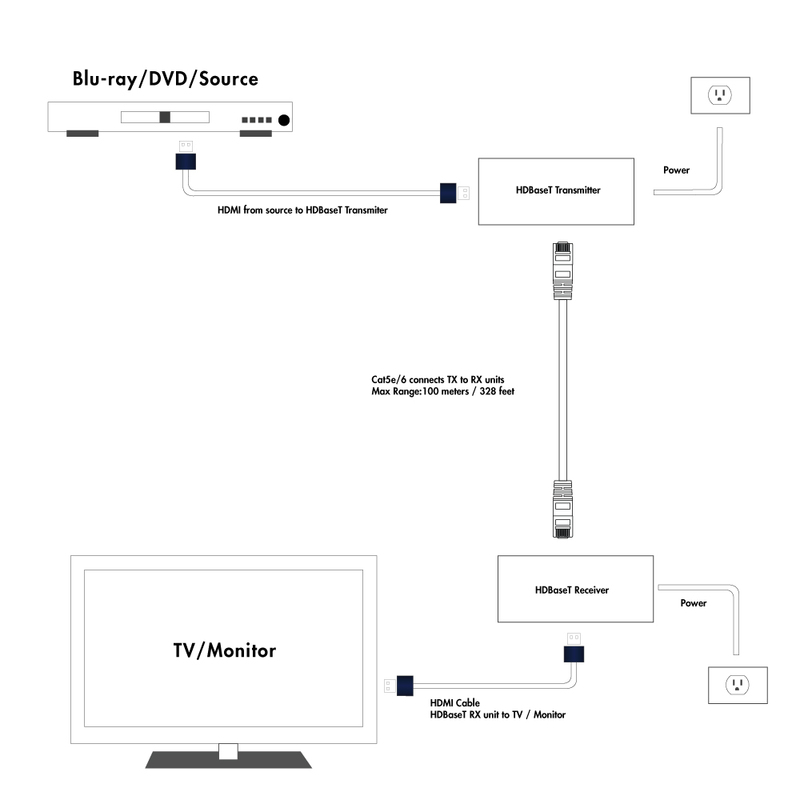 HDBaseT can connect all the entertainment devices in a setting through its 5Play feature set; converging uncompressed full HD digital video, audio, power over cable and various control signals through a single 100m/328ft CAT5e/6 cable with RJ45 connectors. Compatible HDBaseT parts are listed below. This is an excellent product. You only need one ethernet cable to extend HDMI up to 300 feet. We are using this product with Cat 6 cabling in our church sanctuary to send an HDMI signal from our video Switcher to projectors located nearly 300 feet away.